Infiniti performance division planned? | What Car? 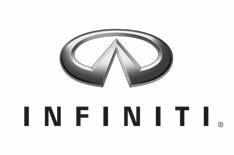 Infiniti, the luxury division of Nissan, could be about to launch a performance sub-division to rival Mercedes' AMG and BMW's M cars. Nissan has filed for trademark protection for the names Infiniti Performance Line and IPL in America. The applications say the patents would cover the use of 'high-performance motor vehicle parts', including turbochargers and superchargers for engines, suspension and brake components, seats and off-road headlights. Earlier this month, Infiniti officials in America hinted that the brand would introduce a high-performance vehicle this summer, although it is not known whether this is purely for the US market. Infiniti has refused to comment on the patent application. However, Infiniti has been at a disadvantage against the German opposition for years as a result of having no lucrative high-performance models to offer against the likes of the BMW M3 and M5 and Mercedes' C63 AMG and E63 AMG.